* Mirror Polished Finish Innovative Bold Styling: Complete the Billet look for your interior with this all new Billet Headlight Knob for your 1995-2004 Ranger or Explorer. 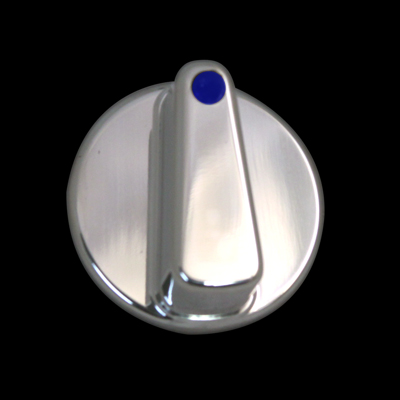 This knob features the same incredible Machine Finish and Design as our slimline A/C knobs. This keeps all the parts looking very uniform and like a perfectly matched set. Make your ride shine with the best of them. Our Quality & Finish will leave you with a grin from ear to ear as it is the Best looking unit available for your Ford Truck or SUV. Quality Construction: CNC Machined 6061 Billet Aluminum to cleanly to replace your factory headlight knob. Using the latest in Diamond cut technology, which uses a special diamond cutter on the finishing pass giving you the best looking billet part possible. No one else gives you the bold clean styling of our Aftermarket Dress Ups, Suspension and Performance Parts for your American Muscle Car or Truck like UPR Products! Installs in 5 minutes or less. Fits these Vehicles: 1995 1996 1997 1998 1999 2000 2001 2002 2003 2004 Ford Ranger Truck. Made in the USA!